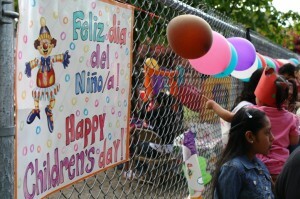 Photo of last year's International Children's Day festivities at El Centro, courtesy Elliott Jones. Alleycat Acres and OUT For Sustainability team up for “Earth Gay,” 1:00 to 4:00 pm at Alleycat’s Beacon Hill farm, 3656 24th Avenue South. North Beacon Hill Planning meeting with Marshall Foster, city planning director from the Department of Planning and Development, 5:30 to 6:30 pm at the Beacon Hill Library, 2821 Beacon Avenue South. Beacon Family Bike and Pedestrian Plan meeting, 6:30 to 8:00 pm at the Beacon Hill Library. Beacon Idol round two, 7:00 pm at ROCKiTspace, 3315 Beacon Avenue South. Seattle Public Schools Family and Community Engagement Symposium, 9:00 am to 3:30 pm at Aki Kurose Middle School, 3928 South Graham Street — free workshops on helping your child with math, science, reading, writing, dealing with bullying, and college and career readiness with keynote speaker Dr. Susan Enfield; breakfast (8:30 am), lunch, and childcare provided. 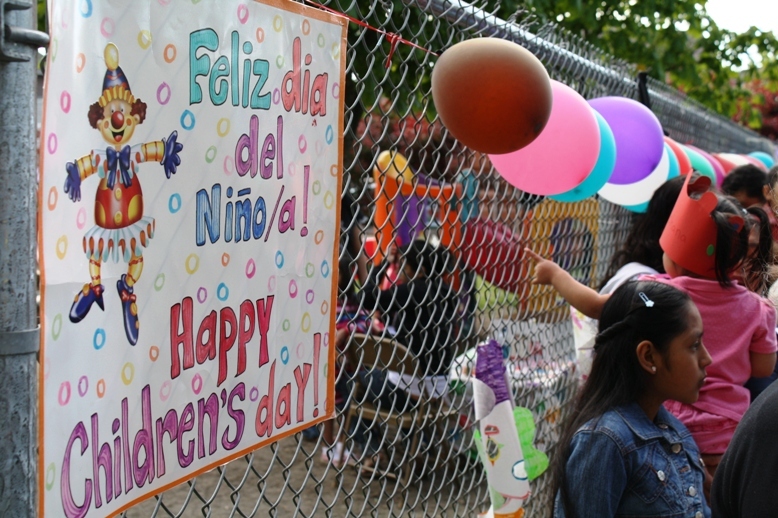 International Children’s Day celebration, 5:00 to 8:00 pm at El Centro de la Raza, 2524 16th Avenue South, featuring children’s activities and cultural games, refreshments, and presentations; for more info contact Enrique Gonzalez at 206-957-4605 or email execasst@elcentrodelaraza.org. 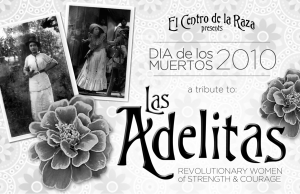 El Centro de la Raza’s 5th annual Cinco de Mayo celebration, 2:00 to 6:00 pm at Asa Mercer Middle School, 1600 South Columbian Way. North Beacon Hill Council meeting, 7:00 pm at the Beacon Hill Library. 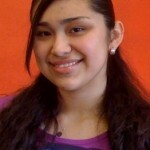 Meet Laila Lalami, author of the 2010 Seattle Reads selection Secret Son, 4:00 to 5:30 pm at the Beacon Hill Library. Cheasty Boulevard Plan meeting, 7:00 to 8:30 pm at the home of Amit Ranade and Jennifer Faubion-Ranade, 2615 South Edmunds Street. Beacon Hill Music Backyard Party fundraiser, 3:00 to 7:00 pm — RSVP requested, email beaconhillmusic@gmail.com for more info. Beacon Family Bike and Pedestrian Plan meeting, 6:00 to 8:00 pm at the Beacon Hill Library. 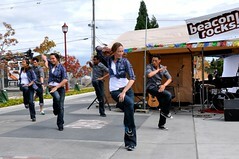 Beacon Hill Music Dance Party fundraiser, 7:00 pm — RSVP requested, email beaconhillmusic@gmail.com for more info. Jefferson Park Skateboard Park, Beacon Mountain Playground, and Jefferson Playfield update with the Parks Department, 6:00 to 8:30 pm at the Jefferson Community Center, 3801 Beacon Avenue South. Beacon Idol round three, 7pm at ROCKiTspace — the last chance to audition for Beacon Rocks! The 18th annual Beacon Hill Festival, 11:00 am to 4:00 pm at the Jefferson Community Center — there is still time to sponsor, sign up as a vendor, or contribute to the silent auction. For more information, call Doreen Deaver at 206-684-7481. Beacon Rocks! concert, 1:00 to 5:00 pm at the Lander Festival Street, between Beacon Avenue South and 17th Avenue South, next to Beacon Hill Station. Cheasty Boulevard Plan Open House with guided walks, 7:00 to 8:30 pm at the end of South Alaska Place. Piñata Party, noon to 3:00 pm at Stevens Place Park (the triangle park at 17th Avenue South and South Stevens Street) — Contact Jon Gould for more info or to help out. Big thanks to Frederica Merrell for assembling many of these meeting times and locations in a handout from the April NBHC meeting. Speaking of ROCKiT space, we are told they are now holding an open mic every Saturday night from 7:00 to 10:00 pm. Jessie says, “This is a very casual sort of thing, open to all, and we welcome any art form you’d like to share.” As mentioned above, they are at 3315 Beacon Avenue South. The liquor license at the MC Food Store, 4800 Beacon Avenue South, has been assumed by a new licensee as of December 30. The license type is still “Grocery Store — Beer/Wine.” We wrote about MC’s application several months ago. Has anyone taken in a rather large tabby cat the past week, or slipped him some food? Don’t have a pic at the moment, but he is a grey/black/dark colored male tabby, on the larger side. He’s an inside/outside cat who often catches his own food and isn’t tagged because he’s a master at losing his collar. He hasn’t been around for about a week. His name is Simon. He lives near Maple Park in the south part of Beacon Hill, on the corner of 13th Ave S and Angeline. His family was on vacation over Christmas and the house-sitters rarely saw him…. Now his family returned and he hasn’t emerged! 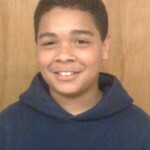 If you have any info, please contact Dayna at dayna@ross154.net. Local acupuncture clinic CommuniChi will offer free acupuncture to all new patients on January 16, in honor of Martin Luther King, Jr. and the legacy of the civil rights movement. More info can be found on their website. 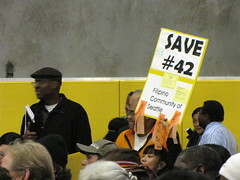 Seattle Public Schools now has 174 National Board-certified teachers, with 57 earning their certification during 2009. Beacon Hill International School led the 2009 pack with 6 teachers earning certification: Elizabeth Alexakos, Susan Fluegel, Heather Graves, Kyle Okada, Andrew Pickard, and Mary Thompson. Other Beacon Hill-area teachers earned their certification during 2009: at Kimball Elementary, Nancy Kiser and Kristina Thorp. 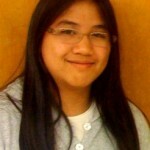 At Mercer Middle School, Susannah Fenger. At Van Asselt, Sarah Clemmons, Bernard McDonough, and Nancy Howard. And at Franklin High School, Howard Steele. We found this 1921 Annual from Van Asselt School recently. The contents are a wonderful glimpse into early 1920s life on Beacon Hill. Photo by Wendi. Van Asselt Elementary on South Beacon Hill opened as a 4-room schoolhouse one hundred years ago, in 1909. Since then, the school has served thousands of children, as well as the larger Beacon Hill community. This year is Van Asselt’s final year at the original site, as the school district has decided to close the Van Asselt building and move the program to a new location at the current African-American Academy site, further south on Beacon Avenue. To mark this bittersweet occasion, the community, former staff and students, and current and future Van Asselt families are invited to a 100th Anniversary celebration and reunion on June 12, from 4:30 – 7:30 pm at the school, 7201 Beacon Avenue South. The event will include an open house and tours by students and staff in historical costumes, musical performances, speeches from community leaders and students, historical displays, and a cake and snack reception. The photo to the right is of a particular Van Asselt memory, a 1921 annual, that we discovered recently. 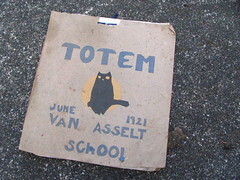 The Totem Annual, Volume II, June 1921, is a collection of mimeographed pages in a construction paper cover. It was produced by the seventh grade class that year, and the staff included Editor-in-Chief Helen Mance, department editors Elizabeth Wallace, James Scott, Arlee Baer, Martha Hansen, and Walter White, and illustrator Tom Petersen. The students included poems, historical drama, book reviews, and dreams of their futures. Unlike some school annuals, this one doesn’t contain student pictures.